76 years old grandmother Lyubov Morekhodova (Lyubov = love) from Siberia is not an ordinary pensioner. Despite her age, she managed to not only survive frosty weather but also gained attention for her skating skills. 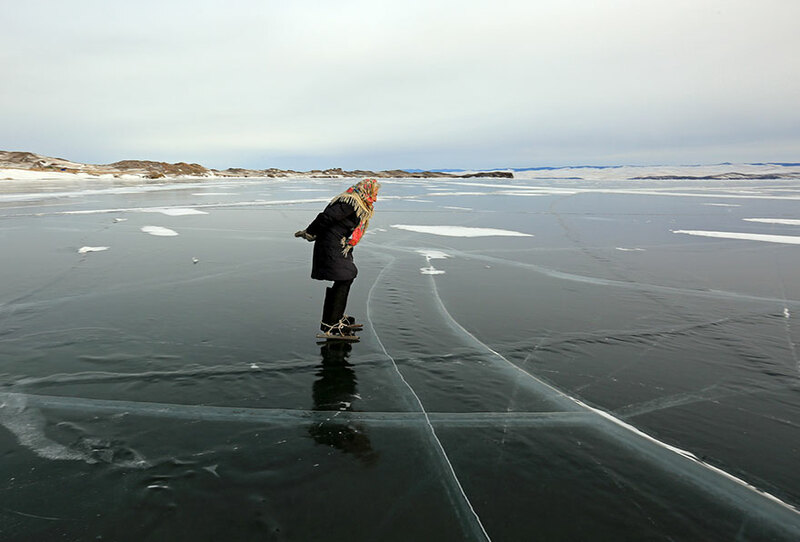 Babushka Lyubov learned to skate at the age of seven and now she spends her retirement days gliding across one of the deepest lakes in the world, Baikal. 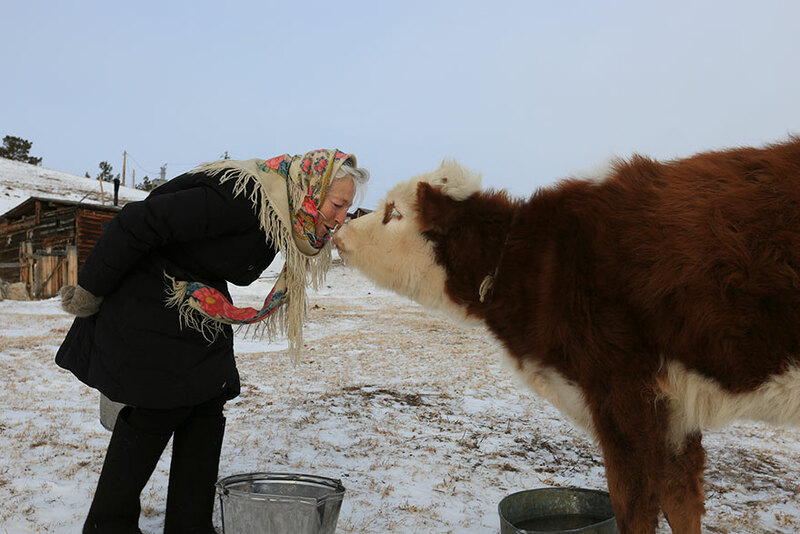 Retired technology engineer lives in a modest house and takes care of her beloved animals consisting of dogs, a cat, hens, roosters, calves, bulls, and cows. She wakes up at 5.30 am to feed the cows and let them out to graze on a hill. 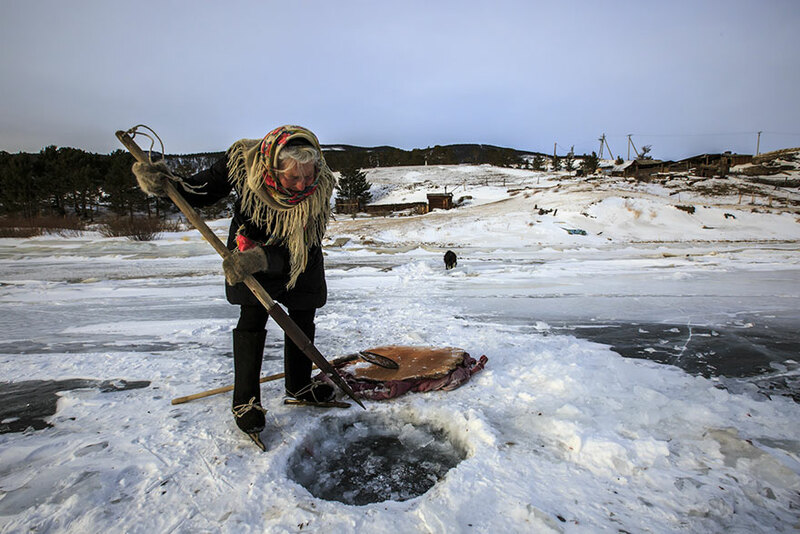 Every day, to shorten the distance, she puts on her skates made in 1943 and glides across the lake to make sure that the cows wouldn’t get lost. Since her husband died in 2011 babushka Lyubov lives alone, but she is not lonely. During the summer her grandchildren and nephews come to visit. Even though her family encouraged this fearless lady to move to the city, she insisted on staying because she claims to be happy and fulfilled living in the midst of S.I.B.E.R.I.A. Without a doubt, she’s made in Russia. What an absolute champ!! !